A massive magnitude 7.1 - strikes 166km NE of Gisborne, New Zealand, it is the 5th major quake in one week. Todays quake was not unexpected, see below. Solar wind flowing from the indicated coronal hole could reach Earth as early as Sept. 2-3, producing active conditions in the geomagnetic field. Credit: NASA/SDO. A monster of a coronal hole is facing Earth, coronal holes are said by some experts to influence or cause quakes on our planet. 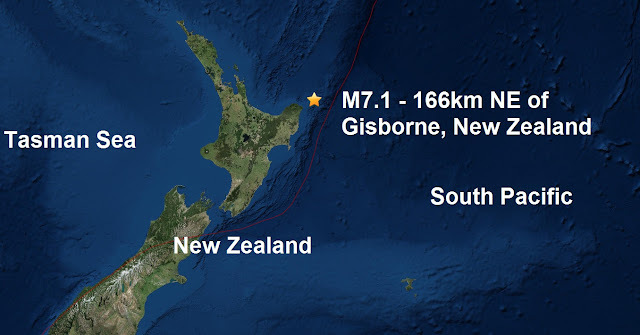 We could be in for major quake activity from Friday onwards. 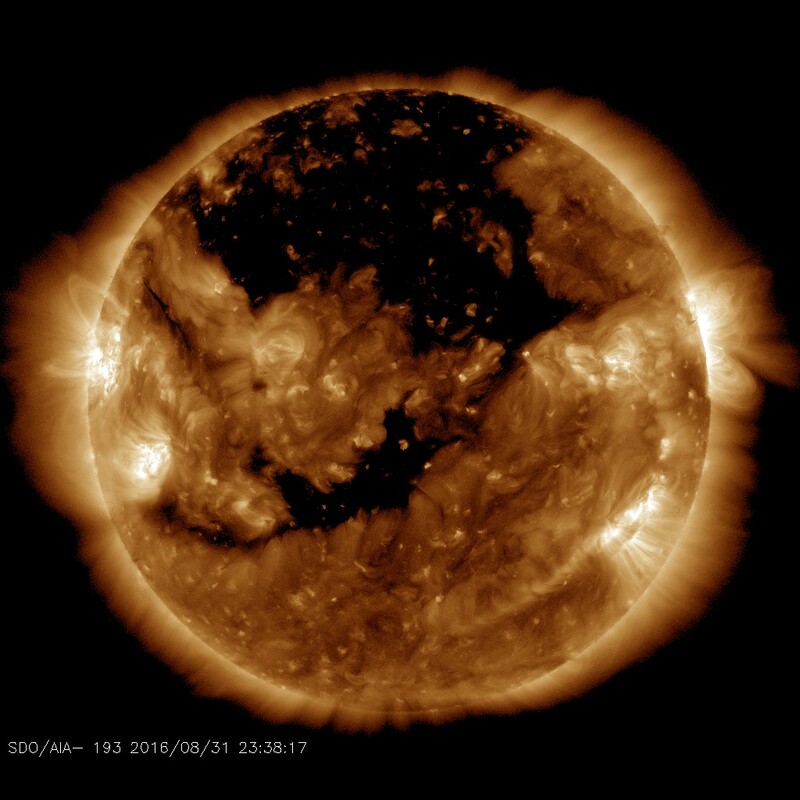 Spaceweather.com reports: A wide gap in the sun's atmosphere has opened up, and it is spewing a stream of solar wind into space. Coronal holes are places in the sun's atmosphere where the magnetic field opens up and allows solar wind to escape. Gaseous material flowing from this coronal hole is expected to reach Earth on Sept. 2nd or 3rd. Meanwhile, Spaceweather.com also brings our attention to a large sunspot turning toward Earth in the coming day's. A large sunspot has emerged over the sun's eastern limb. Nevertheless, solar activity remains low. The magnetic field of AR2585 is stable and does not appear likely to explode. 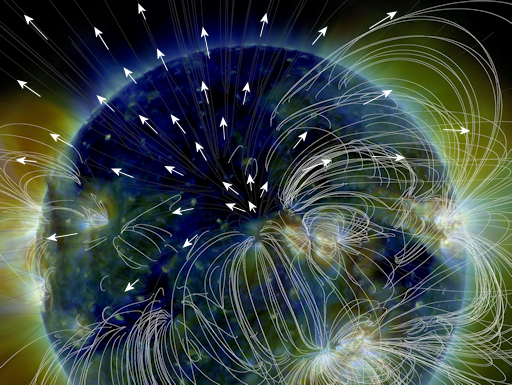 NOAA forecasters estimate a modest 10% chance of M-class solar flares on Sept. 1st.